If dropping $150 on one of ElementCase's gorgous aluminum cases left you without a compatible charging dock, then you'd love to hear this. 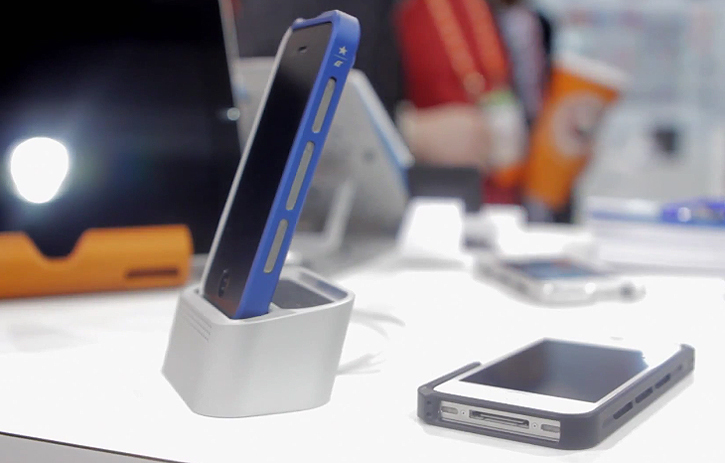 ElementCase is about to release its own take on a charging dock for the iPhone with the Vapor Base. A dock stand made out of CNC machined aluminum that is designed specifically to fit your iPhone with either a Vapor Comp case or the more bulky Vapor Pro case seamlessly. The Vapor Base undoubtedly looks really good even if what we're showing you right here is only a pre-production Vapor Base docking stand. 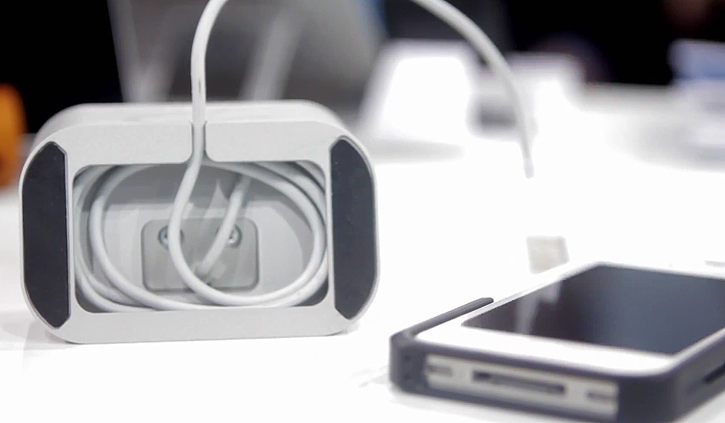 We've seen similar aluminum docks like the Elevation Dock spring up in recent weeks. Though the Vapor Base does have that cutting edge style ElementCase is most known for. The Vapor Base doesn't come with its own dedicated sync and charge cable so you'll be using your own. Underneath is a bottom cutout that can route and store excess cable for a neat desk environment along with rubber anti-slip feet. It also features a perforated grille on the front that amplifies the sound coming out of the iPhone as well as a padded space towards the back to store small things such as your ElementCase's speed wrench. The Vapor Base is compatible with all ElementCase cases as long as you've got an iPhone 4/S. 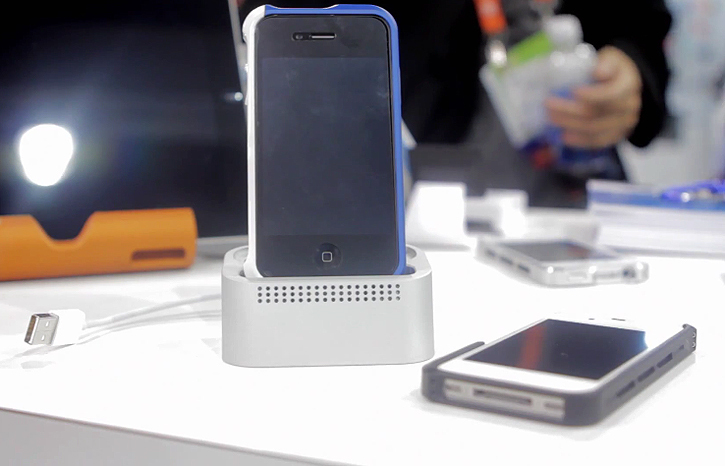 The company first revealed its Vapor Base at CES 2012, and is expected to release its dock in a few colors this month for around $100. Hit up the source link below for the video interview.